New York City…On April 1, the Asian American Legal Defense and Education Fund (AALDEF) and the National Asian Pacific American Bar Association (NAPABA) filed an amicus brief in the U.S. Supreme Court opposing the addition of a proposed citizenship question to the 2020 Census. Sixty-four (64) bar associations and AAPI-serving community organizations joined the brief. The brief argues that the addition of the proposed citizenship question will have significant negative impacts on the AAPI community. First, the community would be harmed because it is comprised of large numbers of individuals the Census Bureau defines as hard to count. Second, the impact of an undercount would stymie the ability to protect voting rights of AAPIs. Third, the procedural anomalies in the administrative decision-making process do nothing to allay the community’s experience with historical misuse of census data—and further undermine the public’s trust in the Census Bureau. On April 23, the Supreme Court will hear an appeal in Department of Commerce v. New York (18-966). In January, the Southern District of New York found the Administration’s decision to add the question “arbitrary” and “capricious” and that it violated the Administrative Procedure Act. In a related challenge, California v. Ross, the Northern District of California found the Administration violated the Administrative Procedure Act and the Enumeration Clause of the Constitution. A decision is pending in a third challenge, involving AAPI and Hispanic plaintiffs, in the District of Maryland. 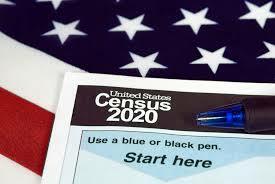 The Census Bureau must finalize the census forms in June to be properly prepared to conduct the enumeration in 2020. A citizenship question was last included on decennial census in 1950, prior to the passage of the Immigration and Nationality Act of 1965 and the removal of country bars dramatically limiting immigration from Asia and the Pacific Islands. A copy of the brief can be found here: AALDEFNAPABACensusAmicusBrief.pdf and the appendix here. AALDEF and NAPABA have joined AAPI organizations from around the country in opposing the addition of an untested citizenship question. AALDEF submitted public comments opposing the question in August 2018. NAPABA also submitted public comments. AALDEF and NAPABA are grateful to lead pro bono counsel Albert Giang, 2018 Recipient of the NAPABA Pro Bono Award, NAPABA Amicus Committee co-chair, and partner at Boies Schiller Flexner LLP in Los Angeles; Miguel A. Gradilla and Ziwei Hu of BSF; Amicus Committee co-chair, Radha Pathak of Stris & Maher LLP; Meredith Higashi of the NAPABA Civil Rights Committee; Navdeep Singh; and the AALDEF and NAPABA staff for their efforts in this case.